Unfortunately it is true that you can have too much of a good thing. 10-year-old Irish Draught Highgrove Harry (aka Harry) piled on the pounds when the grazing at his yard was just too good to resist. 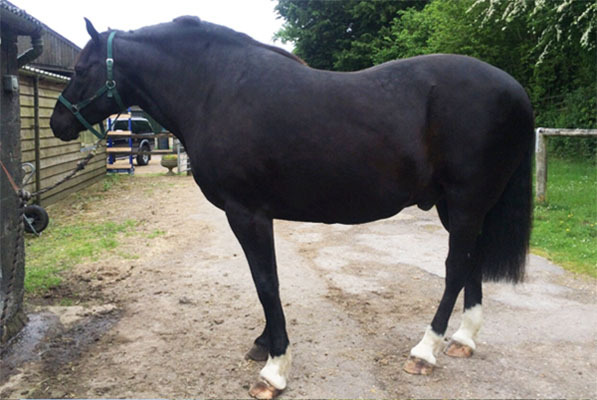 Owner, Donna King arranged for her vet to visit who diagnosed laminitis and Equine Metabolic Syndrome (EMS) plus a review of his diet and day-to-day management. 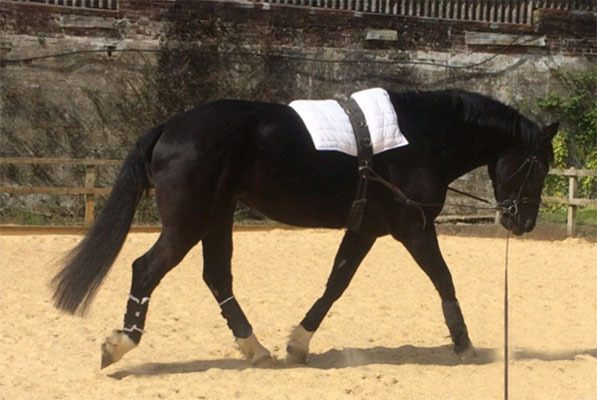 Dengie Healthy Hooves Molasses Free is a nutritionally balanced, low-calorie, high-fibre feed. As it contains all the essential vitamins and minerals your horse requires there is no need to add a mix, cube or supplement.